As an industry old-timer and founding URG Board Member, Don Egelseer - CEO of GPS, knows first-hand that you simply can't put a price on the value of membership and involvement with peer groups and trade associations for your business. A LETTER FROM DON EGELSEER, CEO OF GPS. After 35 years operating a family-owned, progressive auto recycling operation in southeast Wisconsin, our family sold to a large consolidator in 1998. We continued to work the business during the transition, but in early 2001, I left to start Global Parts Solutions & Transport LLC, with a focus on purchasing surplus OEM parts and components from North American manufacturers and conversion companies. For many years we had dabbled with purchasing these “loose”parts, but even as large as we were, we had a hard time absorbing the volume/duplication for our market. My knowledge of the "buying end" was of tremendous benefit, and the many recyclers I met at association meetings became my customers. I also was one of the founding members of URG and served on the board in the early stages of development, again making many friends in the industry and learning much from being involved in recycler peer groups as well. You cannot put a TRUE $$ VALUE on state, ARA and URG membership/involvement! After moving to northern Wisconsin (what I call “God’s Country”), I purchased a 21,000 sq. ft. warehouse and an over the road tractor/ trailer. Since I had decided to run a totally wholesale business, a physical presence in a large metro area was never a goal. From the beginning I focussed on selling full 53’ trailer loads of parts and components vs hiring employees and driving up costs and overhead. Since I had already been doing business all over North America, my cell phone was ringing regularly for both buying and selling, and I soon realized I couldn't handle the volume of material being generated. Eventually my son Rod joined me and, while we did well with inbound buying and transportation, we needed to do a better job selling - we were overflowing with material! We asked Phil Tegtmeier to join our team and focus on connecting with customers interested in truckload quantities to fill the “holes” in their inventories. GPS purchases everything - from door mirrors, grilles, bumpers, hoods, doors, and wheels - to pickup beds, tailgates, cabs, and any part in between. 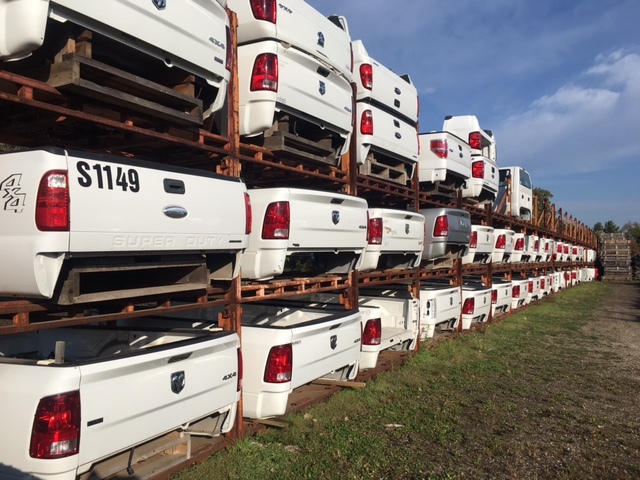 We focus on light duty pickups, vans and SUVs and only sell in quantity (ie tailgates are generally 12 or so in a gaylord, or bumpers are by the pallet, as part of a truckload). Even though we focus on highly requested collision-related components, we also purchase major driveline components from pickups, diesel or gas engines, transmissions and front and rear differentials. We load, pack and strap these parts in our company owned 53’ air ride logistic vans, for damage-free transport. 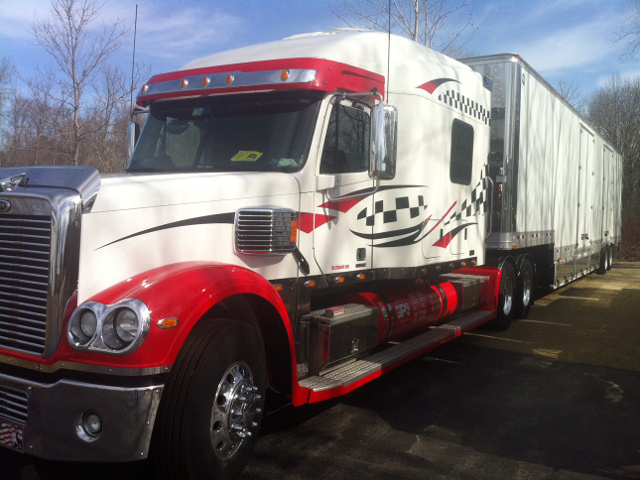 Generally we hire an owner operator to deliver, however, if time permits, you might find Rod or Phil personally delivering a load here and there. I’m the ‘Ol Guy, and at 71 am still having “fun,” but primarily handle the finances and some warehousing duties. We also have an excellent business relationship with Rod Bedard of 5-Star Global Parts Ltd in Winnepeg, Manitoba, who handles buying and selling in the Canadian market. If you're interested in purchasing a full load (or partnering with another URG Member to split a load) call or email us. Likewise, if you purchase a large quantity of material and it’s too much for your market or you want to move it out of your market, call us. Remember, purchasing the right vehicles at the right price is more important than ever. There are NEVER enough late pickups to be bought for salvage at the RIGHT price. You may want to consider funneling some of those purchasing dollars into the type of parts we specialize in: highly requested ones. THANK YOU to our many long-term customers who have ordered truckloads through the years and HELLO to those potential new customers with whom we would be happy to discuss your region and distribution. We work hard to protect every customer's market area and selectively distribute in market areas that are available in North America. We also will consider exporting containers overseas. Lastly, thank you to URG for letting us tell our story!